Dr. Oz & PINA LoGIUDICE, ND recommend to tuck and lift your sagging skin without surgery! HOW? 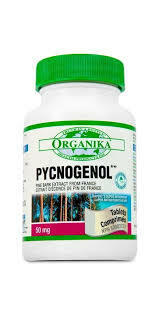 By taking the AMAZING antioxidant pycnogenol as it tells cells to DOUBLE their antioxidant power. Dr. Oz demonstrated that your skin cells need Pycnogenol to make cells behave like a healthy sponge ready to soak up water, thus plumping up the skin while smoothing out lines. Human skin mirrors your state of health and nutritional status. Over time, skin shows signs of aging due to the gradual breakdown of collagen and elastin. However, skin can be REBUILT and made healthier no matter your age. HOW? Hyaluronic acid (H.A) is the primary agent made in our bodies that keeps skin tight and wrinkle-free by retaining the moisture in your skin. Pycnogenol, which is derived from pine bark, contains incredible antioxidant and anti-inflammatory powers AND has been shown to boost the enzyme that generates (H.A) by an incredible 44% in just 12 weeks!!! For BEST results take with Alive (H.A).